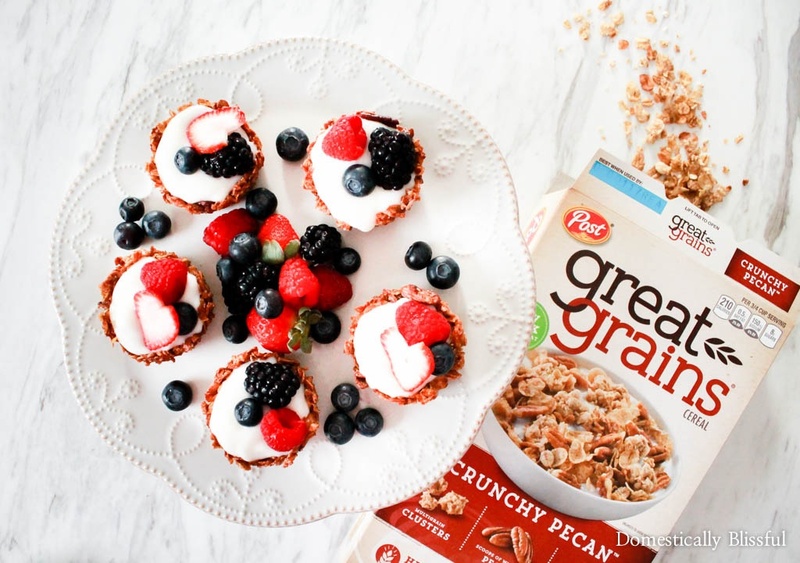 Great Grains Breakfast Cups are filled with yogurt & fresh fruit for a bright & nutritious breakfast. Can I start by saying that I think this recipe is a major win! I spent quite a bit of time developing (like 5 or 6 times) this Great Grains Breakfast Cups recipe, but now that I have figured it out, I think I can file this one under the perfect brunch recipe category. Seriously, aren’t these cereal breakfast cups adorable? It’s always fun to develop creative breakfast recipes that are simple to make & leave you feeling happy & eager to begin the day. Especially since breakfast is the most important meal of the day! Brainpower & energy are important! From start to finish this recipe takes only 30 minutes (or less!!) to create & it is sure to be a crowd-pleaser amongst your family & friends. 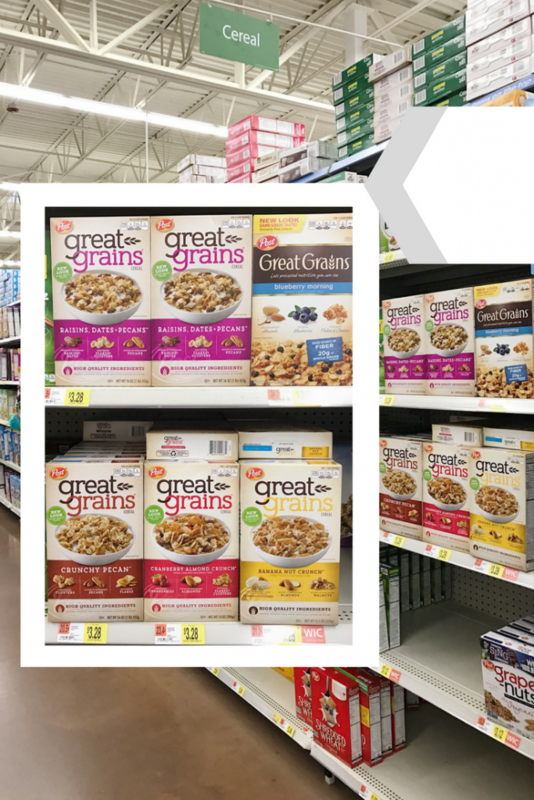 I’m always looking for new ways to kick-start our morning with nutritious food & Post Cereals Great Grains at Walmart is filled with good things to make a delicious breakfast every day this new year. With 36 grams of whole grain per serving, 12 vitamins & minerals, & 20% of your daily value for fiber in each serving, you are sure to start your morning off the right way with Post Cereals Great Grains. 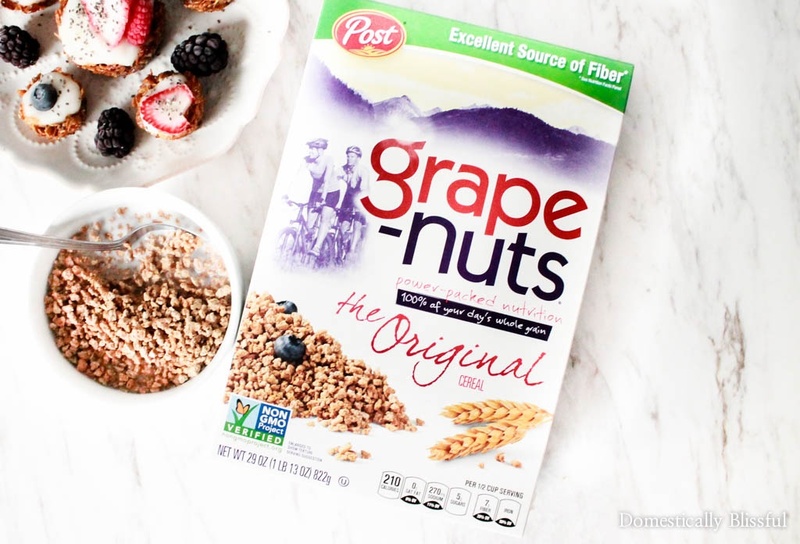 Plus, Post has a lot of other delicious & better-for-you cereals like Post Cereals Honey Bunches of Oats Honey Roasted which is heart healthy with 0 grams of trans fat, saturated fat, & 0 milligrams of cholesterol per serving, along with Post Cereals Grape Nuts Original which has been around for 100 years & contains 52 grams of whole grain. 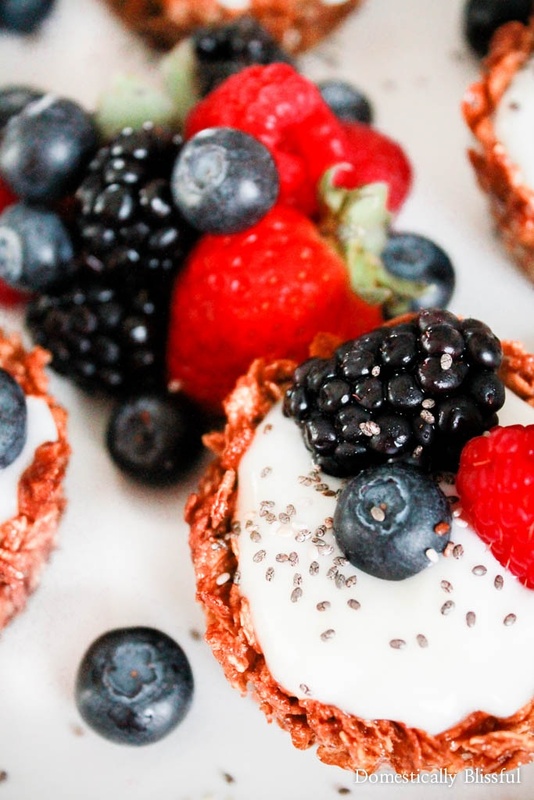 And since I’m sure you too are trying to keep your New Year’s resolutions alive with nutritious breakfasts for you & your family, I thought that this recipe would be a fun way new way to enjoy your favorite breakfast cereals. 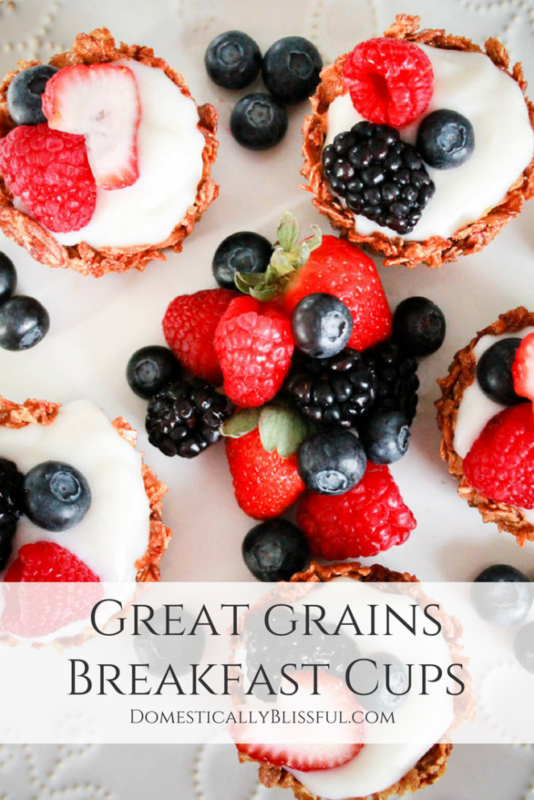 These Great Grains Breakfast Cups are perfect for breakfast, brunch, Mother’s Day, bridal showers, baby showers, & so much more! 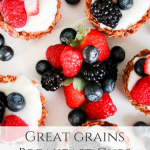 If you are looking for a quick brunch recipe that is easy to create, colorful, & full of flavor than you are going to love these Great Grains Breakfast Cups. This recipe is so easy to create you could easily try it out with any of your favorite Post cereal. 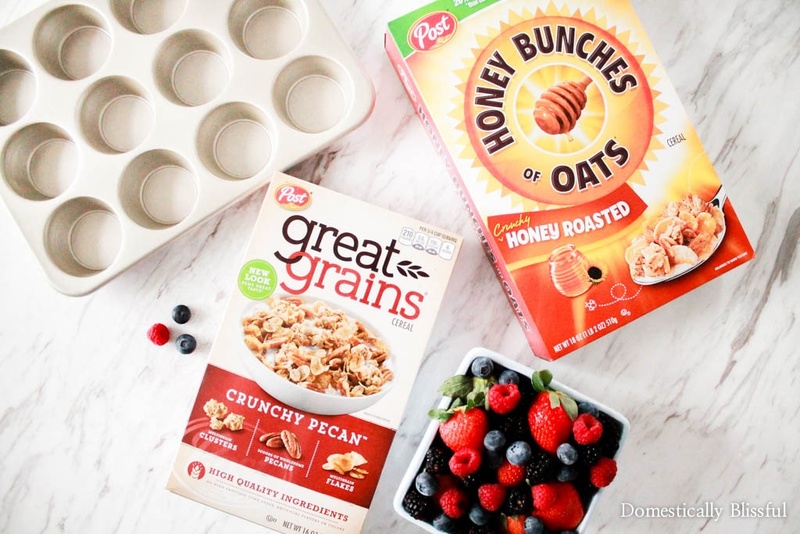 And if you are looking for Spoonfuls of Goodness inspiration, be sure to check out all of the Post cereal varieties by clicking here. I made these in both normal sized muffin pans & in mini muffin pans. 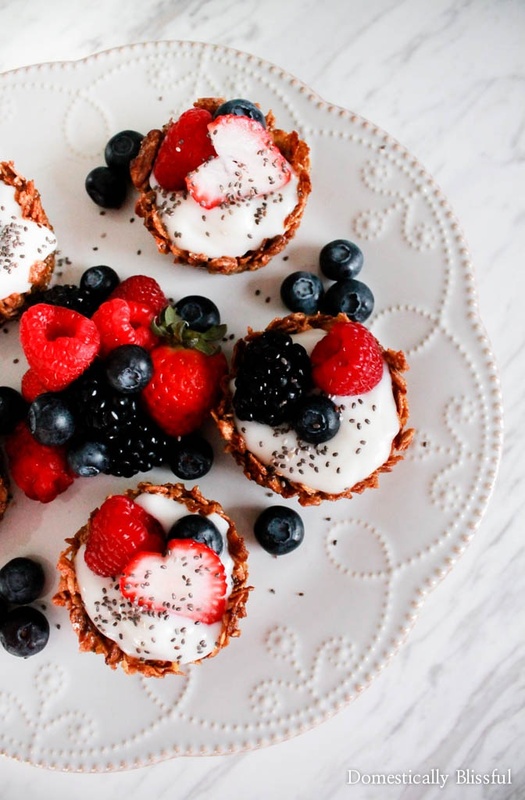 The normal sized breakfast cups take approximately 20 minutes to bake, but if you are in a hurry you could make them mini sized, which bakes in about 10 minutes time. Great Grains Breakfast Cups filled with yogurt and fresh fruit for a bright & nutritious breakfast. In a small bowl mix together the 1/2 cup honey, 1/3 cup heaping cup dark brown sugar, &1/4 cup pure maple syrup. Next, pour 4 cups of Post Cereal Grain Grains into a large bowl & fold the honey mixture into the cereal until it is well blended. Use a spoon to divide the cereal evenly between the 16 oil sprayed muffin tins. Using a spoon gently press the cereal agains the walls of the tin to form the shape of a cup. 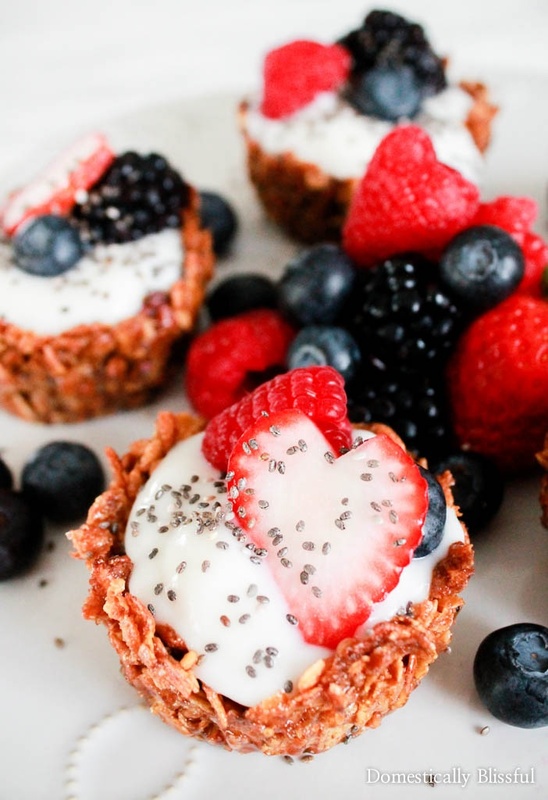 Bake your Great Grains Breakfast Cups for 20 minutes or until golden. Remove the muffin bakeware from the oven & working quickly use a spoon to push the cereal agains the walls of the muffin tin a second time. *1. Yes, both muffin tins & oil are needed. *2. If some of the paper sticks to the Great Grains Breakfast Cups simply brush the paper tin with warm water to make the removal process quicker & easier. 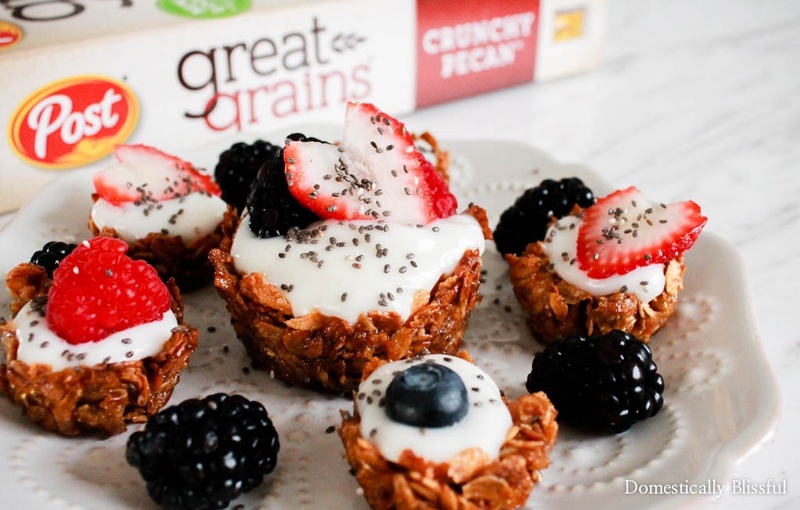 When do you plan to enjoy your Great Grains Breakfast Cups?